Galena Cottage is a detached cottage in the village of Wardlow, just three miles from the village of Tideswell. The cottage sleeps six people and has three super king-size bedrooms, two with en-suite showers, along with a family bathroom and separate ground floor basin and WC. Also in the cottage is a kitchen with dining area, sitting room with woodburning stove and a snug with open fire. Outside is off road parking for three cars and a lawned gardens with patio and furniture. 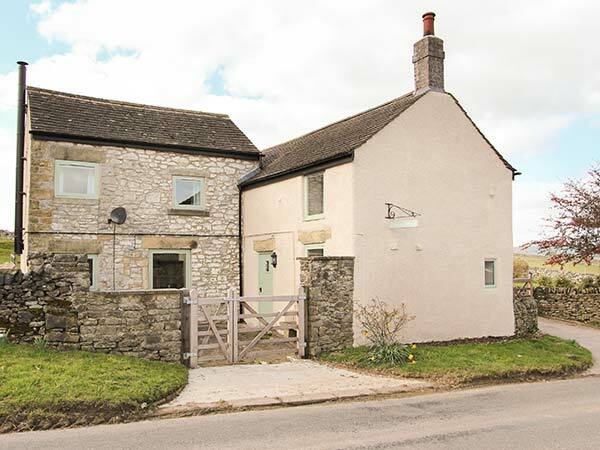 Situated in the heart of the Peak District, Galena Cottage is a lovely family holiday home from which to explore this wonderful part of the country. Three super king-size double bedrooms (zip/link, can be twin on request), two with en-suite shower, basin and WC. Bathroom with bath, shower over, basin and WC. Ground floor basin and WC. Kitchen with dining area. Utility. Sitting room with woodburning stove. Snug (seats 5) with open fire. Shop 3 miles, pub and restaurant 10 mins walk.